Many of the key business and franchise awards are being announced and if you have been successful the win provides an excellent platform for PR exposure, especially in your local area. A lot of time and perhaps money was no doubt spent on preparing your submission so make sure you get the most out of your award win. Business achievements are well worth talking about and an excellent way to engage with your local customer base. The success of a local business is generally of interest to the media but if you don’t share your news, you can’t enjoy the benefits of PR, so here are a few tips to prepare and maximise the opportunity for media interest in an award win. Make sure you have nominated a brand spokesperson who is happy to talk to media and has a sound knowledge of the business. Whatever the criteria was for the award be willing to share detail with the media to prove why you deserved the win. Sales and growth figures aren’t always necessary but a % growth figure is always good to prove the financial success of your business, without giving away too much to competitors. Highlight any key initiatives or community programs that you participated in. Basically let the media know the five top reasons you received the award. Preparing a release in anticipation of a win is sensible, as media hate old news so be ready to go with a professional release. If there were a lot of categories it is important to make clear your point of difference and have a strong lead. Once you have pitched your story the follow up is just as important, keep on top of your contact or your story might get lost in the hundreds of emails journalists receive each day. Low resolution, dated branding, closed eyes or wardrobe malfunctions are all common photo mistakes. Having a great photo is just as important as the story itself. Make sure you have a nice professional shot of the award acceptance or try a great shot in front of your store with clear branding. Twitter, Facebook and LinkedIn are perfect ways to talk to both consumers and industry peers about your success. Always include a #tags with Twitter or Instagram (e.g. #ignitepr #businessawards etc…) or the best way to get your post noticed on Facebook is an excellent photo. 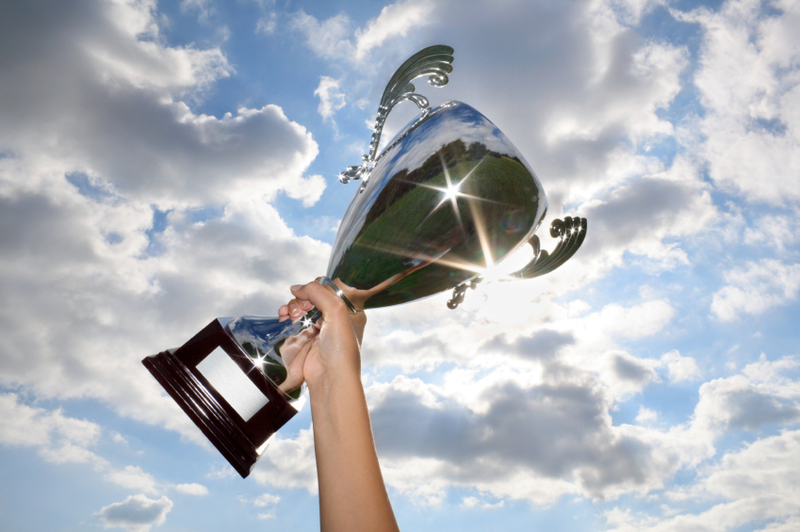 Apart from PR you can spread the word about your win by marketing it through a range of other mediums. Many awards come with a special logo that you can use so maximise it as much as possible. For example: put a news item about the win on your website homepage; include details in your email signature and on collateral i.e. brochures, letterhead etc; put a poster or sticker of the win in your shopfront; include details about it in a customer newsletter or letter to clients. You’ve got to be in it to win in it and talking to a PR agency about the process can alleviate a lot of the stress in preparing a submission and harnessing the right coverage afterwards. Entering awards isn’t just about winning but also about being seen amongst the best in your industry, community or category. It also provides a great opportunity for you to review your business and processes and provide you with ideas to improve it. If you want further advice on how to maximise a recent win or you are thinking about entering any awards Ignite PR can guide you through the process.